If you are searching for best CDMA Android smartphones, just look at here. I will try to find out the best CDMA Android smartphones in India. Nowadays everyone wants to use CDMA Android phones because it has more functions like dual sim, more reliable, efficient battery, it also available in the low budget. In simple words, CDMA means multiple access. Where individual transmitters may send simultaneously over a single communication channel. I will tell you the best CDMA Android Smartphones list in India. may be helpful for you to choose best CDMA Android Smartphone. Latest CDMA Android phones can support the 3G if you looking for 3 G devices then it must be useful for you. Also, Check best CDMA Feature Phone in India. This is the best CDMA Android phone under 10000 in India. It has all that you need. It is a dual sim Phone with One GSM and other CDMA. The phone comes with great configuration and features. It has 1.3 GHZ processor with 16 GB internal memory and 2GB RAM. The other thing that everyone looks in any smartphone is a camera, it has 13 MP rear and 5MP front camera. And the best part of the phone is it has big battery i.e 4000 mAH. So this is the phone that you are looking with all features you needed. The phone has the latest Android 5.1 Lollipop. I am using this phone from last 2 month and I am really liking it. I was not wondering such amazing features for a CDMA phone in this price range. It is available in 3 colors White, Black and Gold. And the price is just Rs 8499 only. I am personally using this and i am satisfied with its performance. I advise you to go for this. You can buy it from Amazon or Flipkart. If you want a Dual Sim CDMA Android phone under 5000 Rs. Then there is a option. Like if you are a Reliance CDMA or MTS or Tata Indicom customer then you can look this phone. As first its price is Rs 4650 and is dual Sim with one CDMA and one GSM. Phone has 1GB RAM and 4GB memory with 1.2 GHz Qualcomm Quad core processor. It has 1650 mAh battery and Android 4.3 Jelly Bean. So if you want a budgeted CDMA phone then you can chose this. It is one of the best Android Smartphone, which is a dual SIM phone with one CDMA port and other GSM. Its camera quality is also superb with the front camera of 2.1 MP. It has 4.7 inch IPS display with Gorilla Glass 2. It’s battery life is also good, it has 2300 mAH battery which can give talk time of 18 hrs. This smart phone almost supports the 2 GB RAM. The 4 Ultra pixel camera of HTC One could simply active at par with a 13MP camera. It also supports video calling, this device brings along a 2 MP front camera. There is no doubt about connectivity because it supports 3G WiFi, at the same time it gives efficient battery. 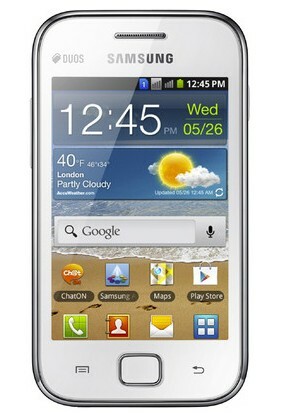 This is the first android smartphone which supports the CDMA 3G connectivity. 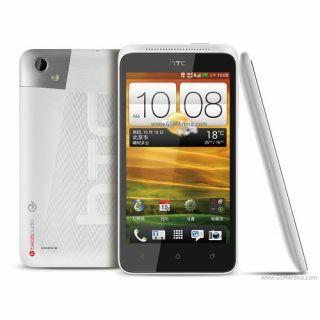 HTC Dual Sim phone very good at battery and backup recovery. That android smartphone supports both GSM as well as CDMA connectivity. HTC Desire 600 c seem to be new version sports high quality 4.5 inches super LCD 2 touch screen display with full HD resolution of 1080p. The highest- end Android smartphone. It has 16M colors, a resolution of 540×960 pixels and a pixel pattern of 245 ppi. HTC Desire 600 c is featuring both GSM as well as CDMA connectivity. 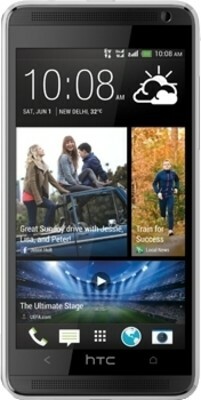 Android jelly bean HTC mobile with the highest camera solution. This is the most high-end Android Smart phones. It take care of both battery and connectivity. HTC Desire XC new version sports high quality 4 inch display WVGA excellent LCD display, specially along with 1GHz dual-core processor also support with 768 MB RAM to enhance its speed. It is available by Android 4.0 Ice Cream Sandwich with a special layer of Sense 4.0 also provided by HTC.The device has a rear camera of 5MP but no front camera. Desire XC already an inbuilt storage of 4GB increase upto 32GB via micro SD card. you may use best way to Wi-Fi, Bluetooth with A2DP, GPS and 3G. we can use these feature all times, HTC Desire XC gives Li-ion 1650 mAH battery.The special function of the device is dual sim capability reliable with a GSM and a CDMA connection. you may use best way to Wi-Fi, Bluetooth with A2DP, GPS and 3G. we can use these feature all times, HTC Desire XC gives Li-ion 1650 mAH battery.The special function of the device is dual sim capability reliable with a GSM and a CDMA connection. Micromax canvas dute 2 has offers the both GSM as well as CDMA connectivity. Micro max Canvas Dute 2 Runs the Android 4.1 Jelly Bean, specially along with a 1.2 GHz quad-core processor, also support with 1GB of RAM. The Canvas Duet 2 comes with an 8 MP rear camera with LED screen display and a 2 MP front shooter for video calling. It provides up to 4 GB of inbuilt storage on board, which is further increase up to 32 GB. This smart phone have some functions like 3G, WiFi, Bluetooth, USB, GPS. It’s take care of both battery and connectivity. It provides up to 4 GB of inbuilt storage on board, which is further increase up to 32 GB. This smartphone has some functions like 3G, WiFi, Bluetooth, USB, GPS. It takes care of both battery and connectivity. Micro max Canvas Dute 2 is the first CDMA alphabet android smartphone. This smartphone supports both GSM as well as CDMA connectivity. Samsung Galaxy Ace Duos appears high quality 3.5 inch display and there is a excellent LCD display, specially along with 1 GHz also supports the dual core processor. Its internal storage will be like 150 mb and also extended version is 32 GB expandable. It has a good battery power like 1650 mah li-ion. Camera feature is like 3.2 MP primary. Samsung galaxy ace duos is very light weight. The internal storage is very good because it support 15o MB and also extended version is 32 GB expandable. So these are some best Android CDMA smartphone, if you are MTS or Reliance CDMA customer then you can chose from this list of top CDMA Android smartphone in India. We will keep on updating this list with latest Android CDMA smartphone.